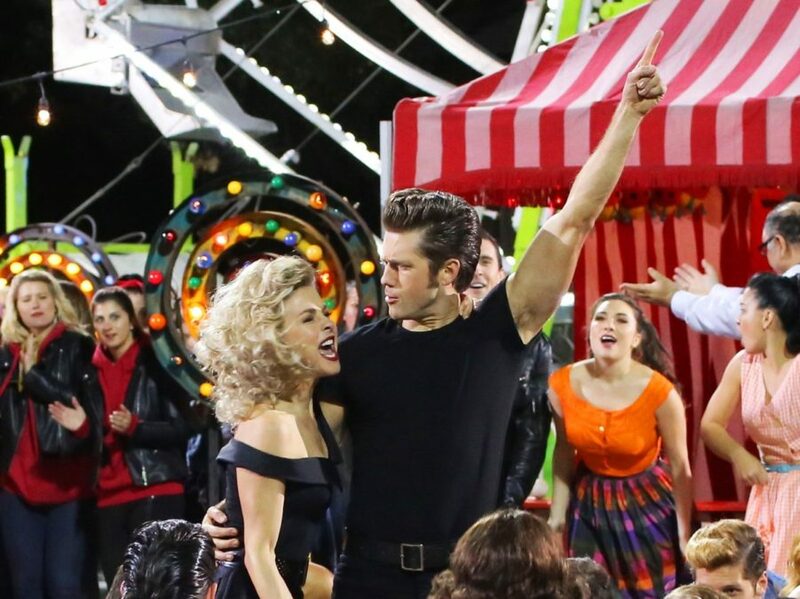 Grease: Live Ratings: Fox Wins the Night! Grease was the one that TV audiences wanted on January 31. Fox’s Grease: Live garnered a total of 12.2 million viewers, according to Variety. The telecast, starring Aaron Tveit, Julianne Hough, Vanessa Hudgens and more, scored a 4.3 rating among the coveted 18-49 demographic, securing Fox as the top network of the night. The show was Fox's second highest-rated entertainment programming of the season, falling just behind the season premiere of Empire. This puts Grease: Live above The Wiz Live! NBC’s December telecast earned a 3.4/11 rating for the 18-49 range with 11.5 million viewers overall. The Peacock network's The Sound of Music Live! still holds the top spot for recent live musical broadcasts; 18.62 million tuned in for the 2013 broadcast, which marked the beginning of the small screen musicals resurgence. In comparison, Peter Pan Live! drew in 9.1 million in 2014. For those with a provlicity for hashtags, Grease: Live was the word on social media ​as well. The Thomas Kail-directed presentation garnered 1.397 million tweets during the East Coast airing, falling within range of The Wiz's 1.374 million on December 3.